A new scientific study conducted by researchers at Lawrence Berkeley Labs and published in the Environmental Science & Technology journal found that electronic cigarette vapor contains a number of toxic chemicals, the levels of which increase depending on factors like temperature and device type. Entitled “Emissions from Electronic Cigarettes: Key Parameters Affecting the Release of Harmful Chemicals“ the paper quantified potentially toxic compounds in the vapor and attempted to identify key parameters affecting emissions. Author Hugo Destaillats and his team used three types of e-liquid and two different types of tanks – a CE4 V2 and a Kanger Aerotank – to simulate vaping. The tanks were powered by a Vision Spinner variable voltage battery, while the vaping simulation was done with the help of a custom-built vaping apparatus that apparently emulates realistic vaping habits. To determine the chemical composition of the vapor, scientists used both gas and liquid chromatography, looking at initial puffs as well as later puffs after the device heated up and reached what they refer to as a “steady state.” During testing, the vaping machine took 5 second-puffs every 30 seconds for a duration of 30 minutes. Researchers found that vapor temperature rose quickly in the first 5 to 10 minutes of vaping, before reaching a steady state at about the 20th puff. Correspondingly, the levels of emissions between the initial puffs and those in the steady state increased by a factor of 10 or higher, depending on the device used, voltage settings and emitted compound. For acrolein, for example, the single coil tank operated at 3.8 volts emitted 0.46 micrograms per puff in the first five puffs, but 8.7 micrograms per puff at the steady state. “When you apply the same voltage to the double-coil e-cigarette you see a lot less emissions,” co-author and Berkeley Lab researcher Lara Gundel said. “We think it has to do with lower temperatures at each of the coil surfaces.” Well, yes, everyone knows a dual-coil setup requires more power to reach the same temperatures as a single coil, and since they used both types at the same voltage (different wattage) the temperature in the case of the dual coil was lower. However, it also has a lot to do with the type of tank used, but more on that later. Grundel mentions that compared to the levels of acrolein in cigarette smoke (400 to 650 micrograms per cigarette) the levels found in e-cig vapor were considerably lower. Assuming that 20 puffs on an e-cigs is the equivalent of smoking a tobacco cigarette, the total emissions of acrolein for an e-cigarette are around 90 to 100 micrograms. Still, that’s still a worrying amount of a chemical that’s known to be very hazardous to human health. And, unfortunately, it’s not the only dangerous compound they found. 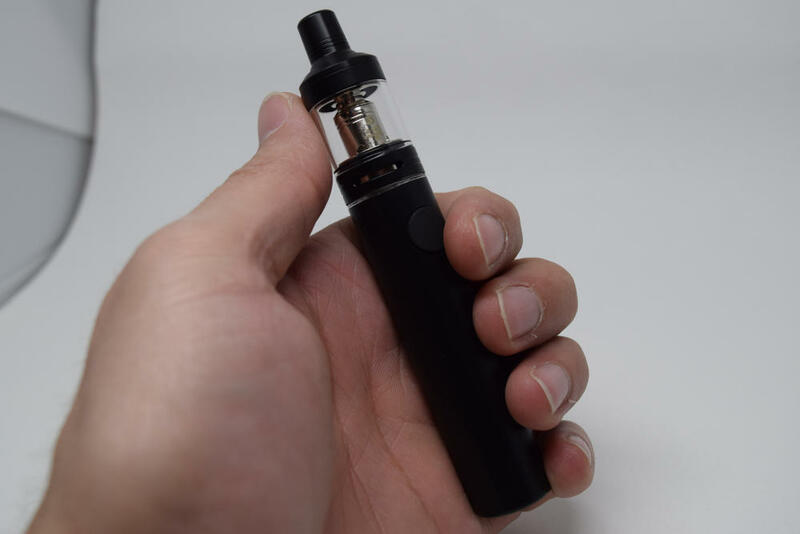 To test the effects of device aging, researchers used a single device over nine consecutive 50-puff cycles without cleaning the coil and found that emissions of formaldehyde, acetaldehyde, and acrolein increased with usage. “In some cases we saw aldehyde levels increase 60 percent between cycles 1 and 9,” co-author and Berkeley Lab researcher Mohamad Sleiman said. They note that “the effect is consistent with the buildup of polymerization byproducts on or near the coil leading to accumulation of the sort of residues that are often referred to in the blogosphere as ‘coil gunk’ or ‘caramelization.’ Heating these residues would provide a secondary source of volatile aldehydes.” The most important thing to take away from this is that you need to clean your coils regularly! Since most modern electronic cigarettes allow vapers to control the voltage output, Bekeley Labs researchers investigated the effect of voltage on emissions. 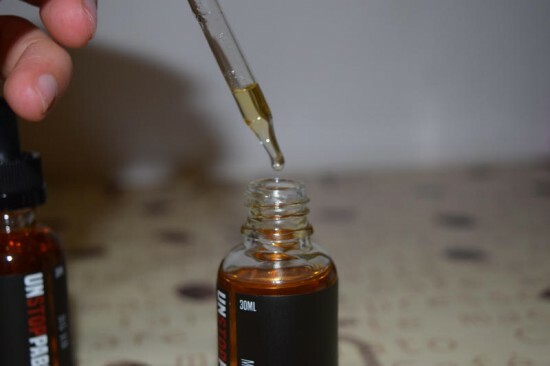 They found that both the e-liquid consumption and temperature increased with the voltage. For acrolein and formaldehyde, the levels detected at the highest setting of 4.8 volts were an order of magnitude higher than at 3.3 volts. The study mentions that during all this testing, significant levels of 31 harmful chemical compounds were detected, including acrolein, formaldehyde and acetaldehyde, as well as two new ones that had never been previously found in e-cigarette vapor–propylene oxide and glycidol, both of which are probably carcinogens. Well, that’s certainly not the kind of news we wanted to hear in such a troubling time for electronic cigarettes. With the FDA using any kind of scientific research to justify its harsh regulations, this study comes as a nail in the coffin of free vaping. But if you’re a long-term vaping, you’re probably more worried about your health than the effect this paper will have on the e-cigs, right? Well, here’s why I think you shouldn’t panic just yet. Although the media was quick to spread the word about these worrying findings, they failed to mention some vital details that might have influenced the outcome of this study. The first controversial finding mentioned in the paper of Destaillats et al. 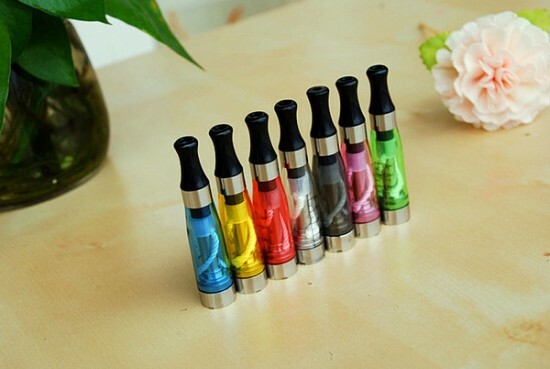 is the high level of acrolein detected in e-cigarette vapor. This highly toxic chemical has a safety limit of 0.1 ppm or 0.250 mg/m3 in the air for an 8 hour work day, according to Wikipedia, yet the study claims that 20 puffs on an e-cigarette ( the equivalent of a tobacco cigarette) contain up to 40 ppm of acrolein. Now, the Agency for Toxic Substances & Disease Registry mentions that acrolein has “a pungent, suffocating odor at 0.16 ppm”, so how are vapers inhaling so much more of it without suffocating, or at least detecting the foul odor? The truth is nobody can vape under these conditions without throwing up after a few puffs. The same goes for formaldehyde and other aldehydes. In a landmark study on the dry puff phenomenon, Dr. Konstantinos Farsalinos used real-life conditions to measure the levels of formaldehyde in dry puff conditions and normal conditions. He detected an average of 34.5 µg of formaldehyde per puff in dry puff conditions compared to a maximum of 1.1 µg per puff under normal conditions. Any vaper who has ever experienced a dry puff knows how revolting that burnt taste is. It just makes it impossible to keep vaping. Yet, when using a CE4 V2 clearomizer, the Lawrence Berkeley Labs researchers found 45-55 µg of formaldehyde per puff in “typical vaping conditions”. 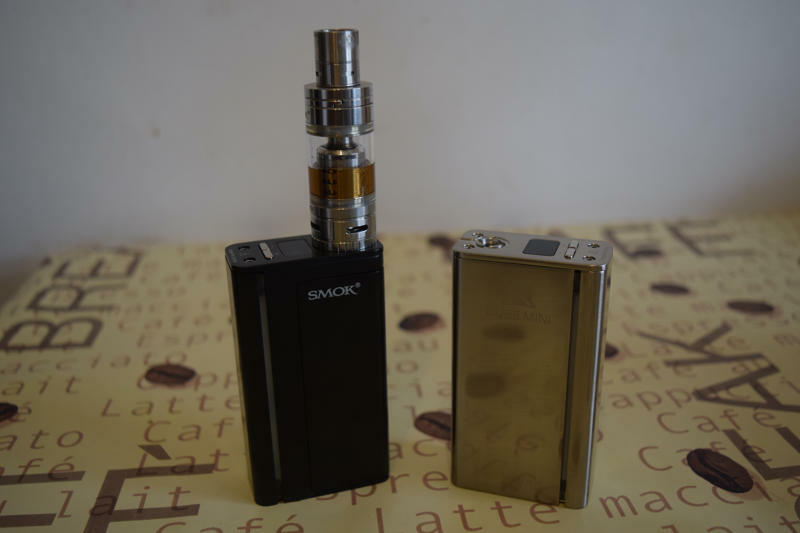 Which takes us to the devices used in this study – a single coil CE4 V2 clearomizer with a 2.6 ohm resistance and a Kanger Aerotank with a 2.0 ohm resistance dual coil. In the initial state, both the CE4 and the Aerotank produced similar levels of emissions, but once the Aerotank coils were primed, it produced about 10 times lower concentrations of aldehydes. Despite this, most of the research was conducted on the CE4 V2, which is known to have serious design flaws. Anyone who has used a CE4 – although they’ve been obsolete for years now – knows that it has a top coil system with silica wicks going down into the tank, which makes e-liquid saturation a big problem. I remember having to flip my e-cigarette upside down after every puff just to make sure the juice reached the coil, otherwise I would get a dry hit even at low voltage. Which is exactly what I suspect happened during the tests performed in this study. A human vaper would have stopped vaping immediately after getting a burnt taste, but since a machine was used for this research, it just kept puffing and the scientists registered the results as “typical”. Also the resistance of the coils was way too high for a voltage of up to 4.8 volts, the level at which the highest levels of emissions were detected. Regarding the two new probably carcinogens researchers found during their testing, propylene oxide was only detected after they heated the e-liquid to near or passed the boiling point of water. Oh yeah, in the first stage of their study, scientists actually incubated batches of e-liquid at 176 °F, 392 °F, and 536 °F for 5 minutes and then tested them for potentially harmful byproducts, according to The Drip Club blog. They found some alright, as bad reactions happen when you boil e-liquid. But that never happens in real-life conditions. The coils might reach those temperatures, but that thermal energy is used to atomize the e-liquid not raise its temperature by 100s of degrees. If it did, the aerosol would probably burn your mouth and throat. 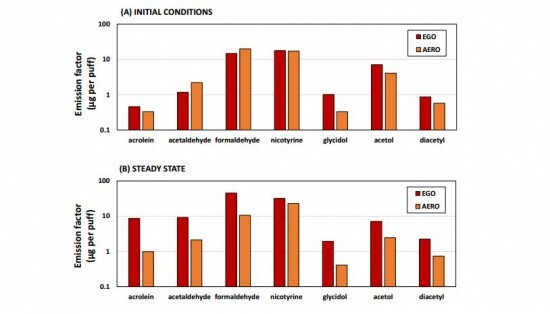 As for glycidol, the second new probable carcinogen detected in this study, its is in the same carcinogen class as drinking hot beverages, eating red meat. It was found at levels up to 8 times higher in the dry-puffing CE4 clearomizer than the Aerotank, which leads me to believe it is related to the improper conditions of testing.